Hello! Thank you so much for stopping by. I am so glad you took the time to visit me, please leave me a comment so that I know you were here. The latest sketch is up at Tuesday Morning Sketches and it's another fun one - really easy to work with. 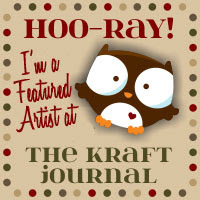 My card features stamps from Gina K Wreath Builder set but I did not use the template that came with this bundle. I used various inks by Fun Stampers Journey and Papertrey Ink. I also used 3 embossing folders by Cuttlebug and Darice, dies from MFT Stamps and Spellbinders, Nuvo Drops is various colors and finally Distress Oxide ink in Peacock Feathers. I also didn't mention one other ink but I was super excited that my idea worked. I also used Ink on 3 Fade Out ink. This is the coolest ink. It's designed to make no-line watercoloring easier. Well I pretty much stink at that but I decided to give it a try on this card. I used it to stamp a circle that came in the set. Then I used that circle to be my guide to stamp the leaves in Limeade Splash (FSJ) and then more leaves in Vintage Jadette (PTI). Then I just filled it with little flowers. Now this Fade Out ink is so unique, what this does is it takes on the color you apply which is why it's so handy with no line water-coloring. I don't know if this works with Copics. But if you're interested in this ink you can find it here. To finish my card I lightly inked one corner of the base with Peacock Feathers and then added my other elements. Since I used a dark card stock I made a coordinated panel for the inside. I hope my card inspires you and that maybe you learned about a new product. Hello! Thank you for stopping by. I am so glad that you did. 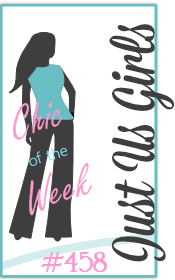 The newest sketch is up at the Tuesday Morning Sketches blog and it's a great one by Janice. My card was actually inspired by a card I found on Pinterest. I was talking to my sister on Sunday (we FaceTime every Sunday) and she was saying that she needed a Bridal shower card and a Wedding card. 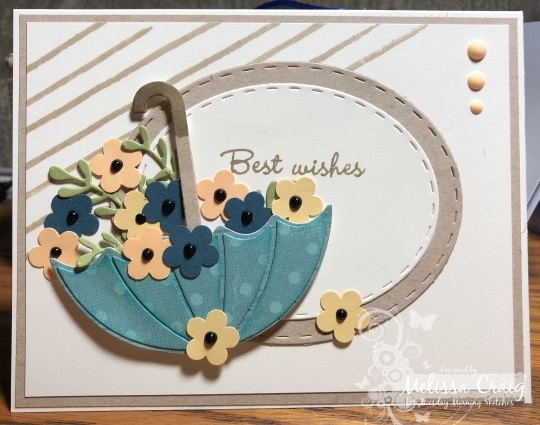 I was looking on Pinterest and found a pretty card, I knew I wanted to use an umbrella. I also recently applied for the Dies R Us design team (I don't know if I made it) but I thought to keep with the theme I would try to use just dies. 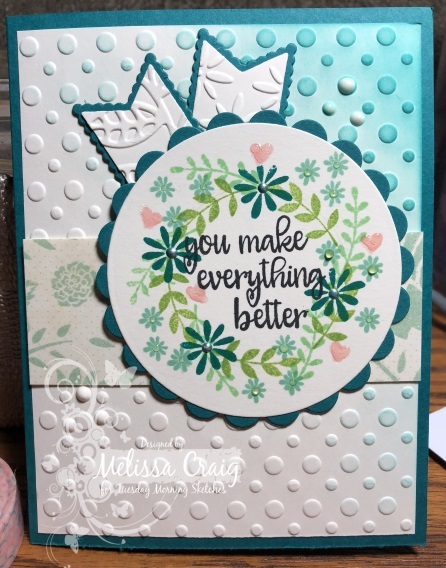 So here's my card, it features umbrella die (old and retired) from MFT Stamps, stitched oval dies from CC Designs, flower punch that I've had forever so it's probably from EK Success. The stamped stripes is from a set called Brushstroke Messages by Simon Says Stamps, sentiment from a Raisin Boat sentiment set, Oatmeal Cookie ink by Fun Stampers Journey and Black and Buttermilk Nuvo Crystal Drops. The paper is from a DCWV stack and the card stock is SU! Not Quite Navy, So Saffron and Apricot Appeal. 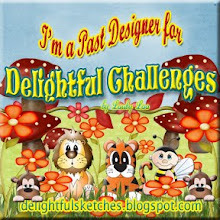 I hope that you like my card and that it inspires you to use some tools that you may not have used in awhile. Hi! Thank you for stopping and I appreciate your visit. The newest sketch is up at Tuesday Morning Sketches. I love this sketch, I hope you do, too. My card features the stamps from the SSS March kit. Remember last week when I said I was going to use the heck out of this set. I meant it. 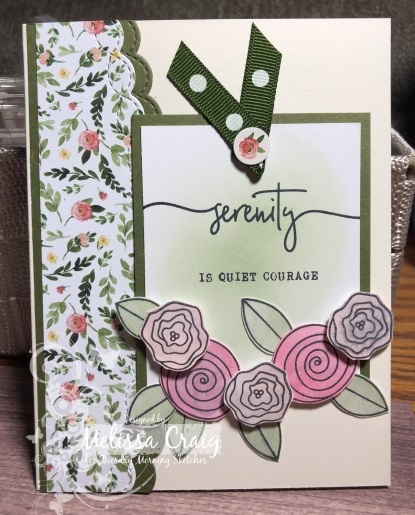 I used the flower stamps from the Choose Joy set. The paper is also from the kit as well as the little sticker on the ribbon. Additionally, I used Twisted Stitch border dies from Simon Says Stamp and the sentiment is from Brushed Birds by Papertrey Ink. I used Bundled Sage, Tattered Rose and Worn Lipstick Distress Oxide inks. 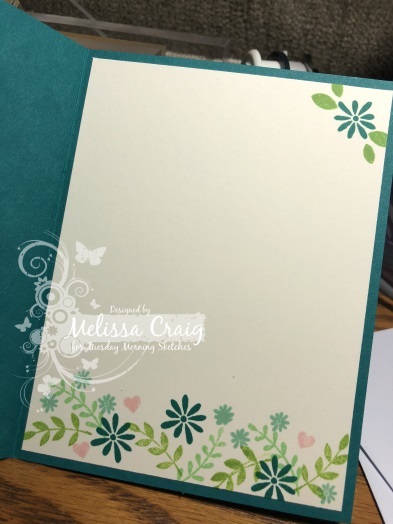 I blended them onto some Bristol Smooth card stock and then stamped the images over the color and fussy cut them out. You also can't tell in this picture, but I added some shimmer using the Nuvo Shimmer pen that also came in the kit. The ribbon is from my ribbon jar but I believe it's from Raisin Boat. 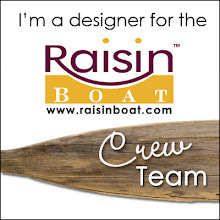 I have idea if the new owners of Raisin Boat carry the ribbons anymore. Hi! Thank you for stopping and I appreciate your visit. 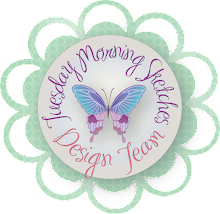 The newest sketch is up at Tuesday Morning Sketches. I think it's a ton of fun with so much potential. My card features the stamps from the SSS March kit. I bought this kit, I'm going to use the heck out of it! The gingham print is what I used last week, it's from Choose Joy stamp set and so is the flower and leaf that I used on the purple egg. The bunny is from the other stamp set that came in the kit called Showers & Flowers. 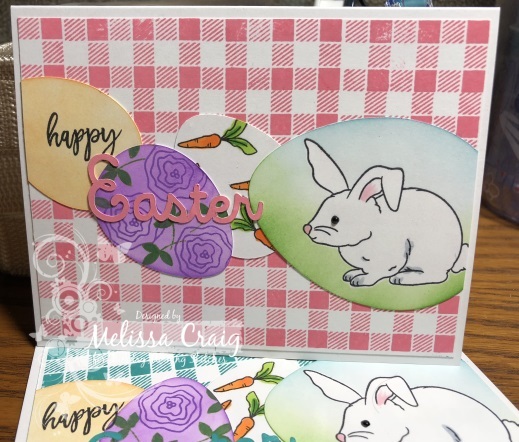 I used Distress Oxide inks to the stamp the background and color the "Easter" svg cut. I used Distress Inks to color the eggs. I did some simple Copic coloring on the bunny and the carrots and then added just a drop of black Nuvo Drops on the eye.